Our company (Korifidis-Jewels) was established in 1952, by Theodoros Korifidis. 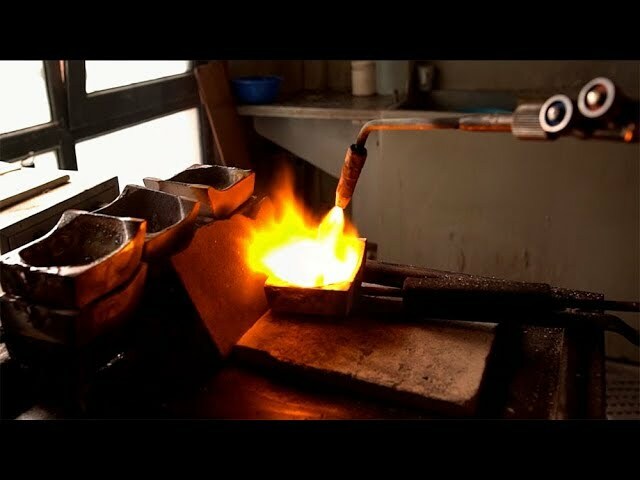 Over the years, we have grown and become one of the biggest and reputed manufactures and wholesalers of Gold and Silver chains in Greece. Our vision, right from the beginning, is to ensure products of high quality, timely deliver and excellent after sales service. We guarantee our products with logo. “Korifidis-Jewels” along with the code number A19, both sealed on our jewellery. We have a full line of plain, solid and hollow, machine or hand-made, gold chains, in a purity (9-14-18Kt) and color (yellow, white, pink) ranging from extremely lightweight up to 100gr, all crafted by our bright new machines and well trained personnel. Lately, our production has been widely expanded including a large selection of male or female crosses, collections of baby and children jewels, necklaces, bracelets and earrings, all with innovative design and superior finish. We are constantly committed to supply our customers with top quality products. Do not hesitate to contact us and discuss all the possibilities of working together.